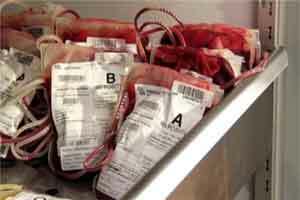 Dehradun: The cost of life saving blood units are soon going to become more expensive in the state. It is reported that blood units rates will now cost Rs 450 per unit across Uttarakhand , up from the previous Rs 350 per unit. Speaking with media, an official said that Bharatiya Janata Party (BJP) government in Uttarakhand has hiked these prices for blood units across the state. The government also stated that in case a patient admitted at a private hospital or nursing home requires blood and takes it from a government blood bank, instead of the previous rate of Rs 400 per unit, he or she will now have to shell out Rs 1,000. The opposition Congress has slammed the move and said it was anti-people as the government has put more burden to weaker section of the society.